My husband and I recently watched a movie that was doing everything right, but still fell flat, because it didn’t offer anything we hadn’t seen dozens of times before. We could pretty much describe how the entire movie was going to unfold based on the first few scenes, and it indeed unfolded exactly as we expected. That made it hard to care about what was going on. In this week’s installment of the “Fix Your Reader’s Pet Peeves” series, let’s tackle relying on old tropes. For those unfamiliar with the term, tropes are common elements frequently associated with certain genres or storytelling devices. (There’s also a more literary “metaphors, cliches, and figures of speech” definition, but I’m talking about the storytelling one). It’s the meet-cute in a romance, the splitting up in horror, the Chosen One in science fiction and fantasy. Sure, we’ve seen these elements plenty of times, but they’re also the cornerstones of these genres. Tropes are a natural part of writing—every genre has them, every reader expects certain ones, and they help define a particular type of story. But when we rely too much on them, or fail to do anything new with them, they become predictable. And predictable is deadly to stories. When a reader can see what’s coming long before it happens, and there’s nothing in place to make them anticipate that moment, the moment will have little to no impact when it arrives. The trick to avoiding been-there/done-that tropes, is to offer something new or surprising to the reader. The good thing about tropes, is that we usually know what they are for our genres, which makes it easier to turn them on their heads. 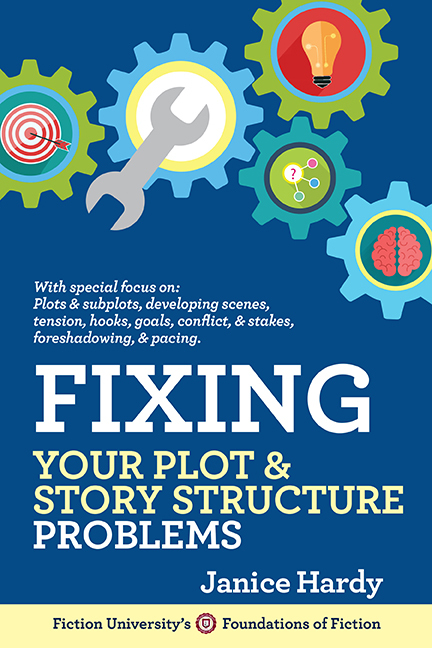 If a scene or plot point starts to feel predictable, look for ways to not do what you originally planned. Go ahead and write that adorable meet-cute in a coffee shop, but then surprise readers by making the sweet barista who witnesses it be the actual love interest. Let the heroes split up to search for the killer, but it allows them to flank the bad guy and emerge victorious. Give your Chosen One a feeling they were special all along and have them a skilled fighter ready for action. Find ways to surprise readers by taking the familiar and doing something new with it. Look about what your favorite books and movies in the same genre have done. If you can think of any that did what you want to do, change it. 2. Have the trope fail (or succeed). It’s usually a shock when readers expect a win and the hero loses (and vice versa). While you don’t want to do it just for shock value, a loss (or win) at the worst time can shake things up in unexpected ways. Even more fun—a loss (or win) when readers don’t expect it to happen is even better. Take a clue from Deep Blue Sea and have that shark eat Samuel L. Jackson during his inspirational speech. The obvious escape is the hero sneaking out through a bathroom window? Brick up that window. The heroes suddenly remember an old piece of equipment or weapon left forgotten? Yeah, make it not work after all. That complete makeover the heroine goes through? The love interest is turned off by the new look and attitude that goes with it. If you find yourself using a common trope in the way it’s always been used, try thinking about what would happen if the opposite effect occurred instead. 3. Do the expected, but not where it’s expected. Sometimes seeing something familiar in an unexpected place is enough to spice it up. The monster you find in your bathroom is much scarier than the one you stumble across in the dark woods. Maybe the lovebirds meet in a place neither one of them would ever want to admit to later. Or the monster decides to attack the bright sunny hotel room before the heroes get a chance to go after it. Perhaps the evil wizard bent on enslaving the world is confronted in a cute two-bedroom cottage surrounded by flowers. If crawling through air ducts to escape is a common trope in your genre, find a fresh, new way for your hero to make it to safety. 4. Borrow tropes from other genres. Just because a trope is a little tired in one genre, doesn’t mean it can’t work wonders in a different one. You’d hardly expect a “dark figure behind the shower curtain” moment in a romance, but what if that’s how your lovely couple meet? A different-genre trope brings its own set of emotions and expectations you could have fun playing with. Maybe the heroine and her friend “split up” while shopping and she runs into the antagonist and bad things happen. A false scare in a horror novel could really be a meet-cute with the love interest for a subplot. Have the Chosen One die in the first few chapters as an unexpected sacrifice. Mix it up and see what tropes might work in unexpected ways in your genre. 5. Consider what would happen if you eliminated all the tropes from that genre. A bit extreme, but what if you cut every common trope from your story? While you certainly don’t want to gut what makes your genre that genre, cutting out the expected can be a useful brainstorming exercise to find what’s fresh in your idea. The Chosen One becomes a gal who happened to be nearby when crap went down and she stepped in to help. The two lovebirds have worked together for a long time, but sparks fly as they work on this one project together. The campers at the haunted lake stay together and craft a smart, safe, well-considered plan of attack, but the bad guy is just smarter. Forcing ourselves to look beyond the most likely outcomes can help us craft new and original scenes. Tropes can be comforting, but they can also lure a great story into sleepwalking its way through the novel. Sure, it has all the right pieces, but it just doesn’t grab readers and it’s forgotten minutes after the last page is read. Strive to do the unexpected, and your readers will remember your story long after they’ve finished it. What tropes do you rely on? What’s your least-favorite trope? What about your favorite trope? Great post. I recently watch The DUFF and was disappointed they took a rather deep book that showed a more realistic and unfortunate response by the main character and turned it into every typical teen ugly duckling is finally realized not to be ugly (cuz well, she wasn't). I think the story as written could have helped more people. I wanted to see the movie, but just based on casting, I feared that it would not live up to the book. Sad to hear that's true. The book was great. It's wise to know the difference between a trope and a genre expectation. A trope can be twisted, forgotten, or deleted, and a reader doesn't care, but fail to live up to a genre expectation, and you totally alienate the reader. In other words, offering a weird version of a marriage of convenience in a romance is fine, but you'd dang well better have a happy romantic ending. 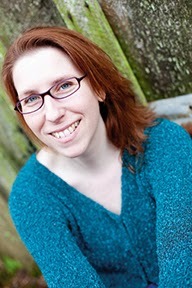 Another way to work around tropes is having characters so strong and individual with a worthy goal that the reader is so connected with them that she is blind to the tropes. Exactly. Summed it up perfectly.